The world of event planning can be alluring and dangerous at once-exotic locales, wining and dining, and people traveling without their spouses. In such situations the line between business and pleasure blurs and the nature of relationships gets cloudy. With a thoughtless act or a less-than-tactful word, long-lasting business relationships can be ruined forever. Beyond that, budgets are on the chopping block and competition for business is tight. In that environment, people often cut not just financial corners, but the ethical ones, too. There's a fine line between innocent perks and inappropriate gifts or kickbacks. 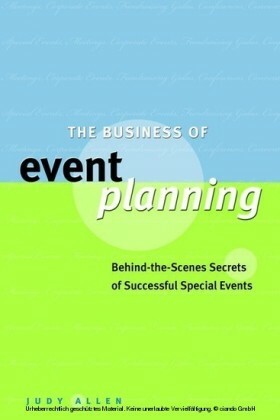 Event planners today must navigate a minefield of potentially sticky situations that can easily blow up in their face. Without a professional code, lines of acceptable behavior are easily crossed. And what you do personally can hurt you professionally. 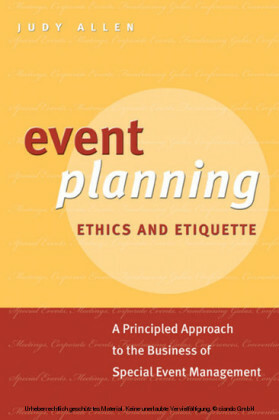 Event Planning Ethics and Etiquette provides event planners with the companion they need to stay out of trouble, keep professional relationships healthy and profitable, avoid the riskier temptations of the lifestyle, and win business in a highly competitive market using ethical business practices. Explains how to establish policies and codes of behavior, in the office and onsite at events. Offers guidelines on when it is acceptable to accept a gift, what is acceptable, and what is inappropriate. Shows how to prepare yourself, as well as your staff, for what to expect, and how to handle the unexpected with business finesse. 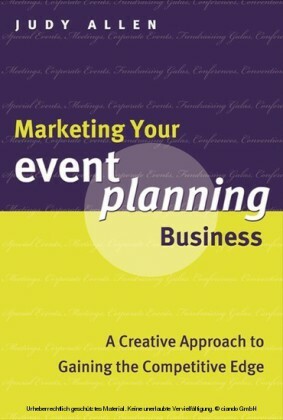 Covers business etiquette in event planning crisis management situations. Helps you to avoid putting yourself and your company at personal and professional risk. Features real-life examples and situations, and advice on how to handle them with poise and professionalism. 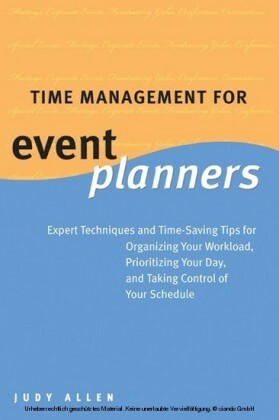 Includes a list of 'Event Planning Do's and Don'ts.' Event Planning Ethics and Etiquette will be of value to the professional event planner; to event planning suppliers and clients working with industry professionals; as well as to those in related fields, such as public relations, administrative professionals, communications; and anyone in the hospitality, culinary, and travel industry.